Opening its doors a little over a year ago, Bandido Taqueria Mexicana has become a well known restaurant around University of Louisville’s campus. Bandido offers a variety of authentic Mexican cuisine from items such as the surf and turf burrito to carne asada French fries, accompanied by a large salsa bar featuring a large selection of sides and salsas for customers to choose from. Ochoa and his staff are serving up fresh, Mexican cuisine with a twist. “(I) have been here three times now, and every time the food has been fresh, excellently prepared, and delicious. The fried fish taco is a thing of delicious beauty, and the diablo shrimp burrito is absolutely addictive. 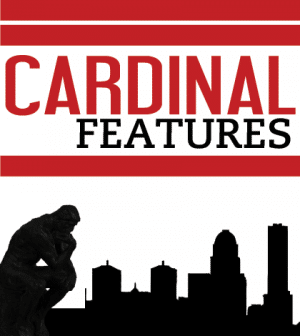 Highly recommend,” John, a U of L student said. Their prices are also easy on the wallet. On any normal day entrees will range from $5 to $8 but on Taco Tuesdays all tacos are just $1.99. “We are more of a family owned business, more authentic Mexican food than you know a big franchise or chain,” said Ochoa. 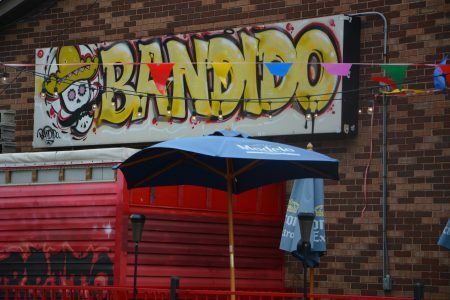 Bandido doesn’t have another location, but that could change. “In the future we will try to expand, if I can get the right help we would for sure like to expand,” said Ochoa. Bandido is located at 423 University Blvd. across from the Clubhouse apartments and is open from 10 a.m. to 10 p.m. daily. Noodles & Company located at Cardinal Towne has a wide range of pasta, salad and soup dishes, or you can build your own entrée with your choice of meat or tofu. Staff provided great customer service and were pleasant. Tori Cooper, one of two managers at Noodles & Company, liked the atmosphere and the diversity of the customers. “It’s fun because you get to be around a lot of different people,” Cooper said. 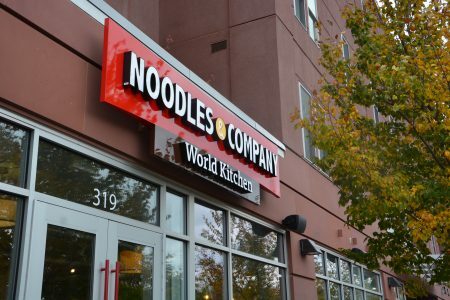 “There are a lot of different personalities here and it’s good to see what the kids are into now,” Ty Trevino, the other Noodles & Company manager said. An order of the smaller portion of the spaghetti and meatballs to-go was ready within minutes. The food will still be nice and hot when you get home, and the smell could make your mouth water. Meatballs were tender and the noodles were perfectly cooked. There wasn’t a lot crushed tomato marinara on the noodles, but it was still delicious. While I wish the spaghetti and meatballs would have come with a little more sauce and a side of garlic bread, I give this dish a 4.5 out of 5 stars. This was my first dining experience at Noodles & Company and I can promise I will be back. Griff’s opened over about a year and a half ago and has been thriving ever since then. While many believe Louisville’s Darrell Griffith, part of the 1980 NCAA championship team, is the owner, he isn’t. “The inside scoop is that he doesn’t own Griff’s, his name is just on it,” said employee Emmonnie Henderson. The restaurant provides high quality sports entertainment, as well as a menu that is made up of some of Griffith’s favorite dishes that he had accumulated throughout his years of traveling within the NBA. “He (Griffith) comes in all the time and orders the same thing: Blackened chicken, slightly cut in the middle and green beans. Then he takes pictures and autographs. He has to pay for his food when he comes in,” Henderson said. The first thing I noticed upon entering was the relaxed environment. The televisions were not overwhelmingly loud and no overly obnoxious servers jumping in your face at the door. One of the things that caused a little confusion was their lack of a parking lot. You can always park across the street in the Cardinal center parking lot, but if you are not carful of what days you park there, there is a chance your car could be towed. 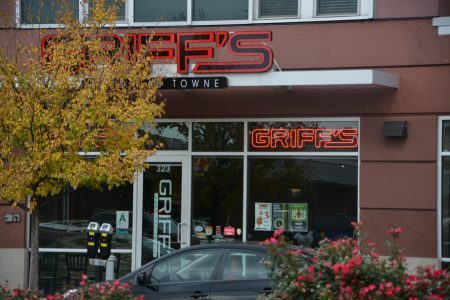 On the other hand, the location of the restaurant was not difficult to find for someone who may be unfamiliar with the area (mostly due to the huge Griff’s sign above the door). One of the most interesting things about the restaurant was the menu. It was composed of a nice size variety of foods, not just chicken and grill foods. For the most part, I would say there was something for everyone and I would consider myself a very finicky eater. “I really like their variety of food they have there because I can always go in and try something new when I feel like it,” said customer Kendra Malone. I decided to play it “basic” and go with their boneless barbeque wings and seasoned fries. After all, what’s a sports bar without good wings? To add to the great timing, the presentation of the food was in a sense what you could consider “classy.” From the looks of the food you would be likely to forget that you were eating in a sports bar since it was not your typical “throw it on the plate” look. To top it all off, the food itself was very satisfying.